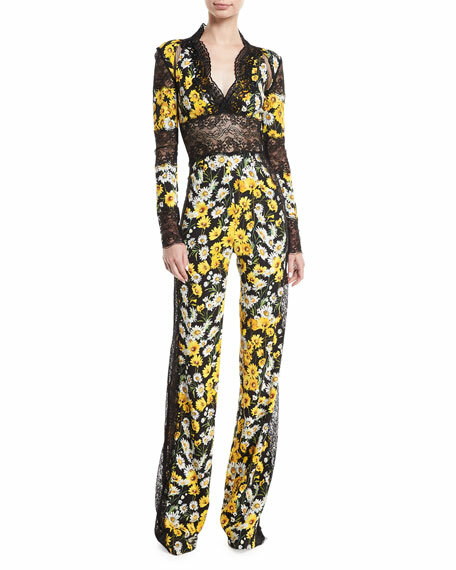 Naeem Khan daisy-print jumpsuit with lace insets. For in-store inquiries, use sku #2368437. 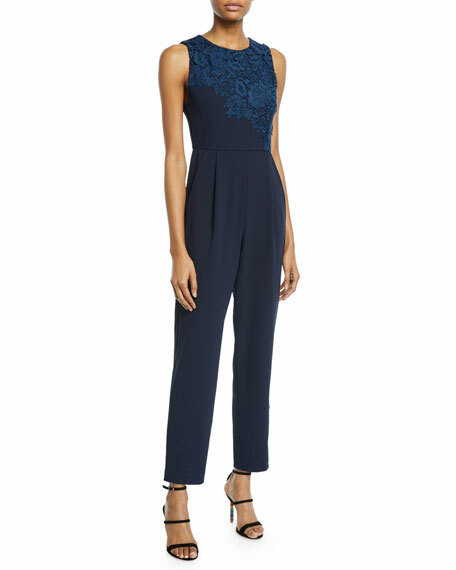 Alice + Olivia "Jeri" jumpsuit with lace appliqu at the bodice. Crew neckline. Sleeveless. Side slip pockets. Fitted through straight legs. Ankle length. Exposed back zip. Polyester. Polyester/spandex lining. Imported. 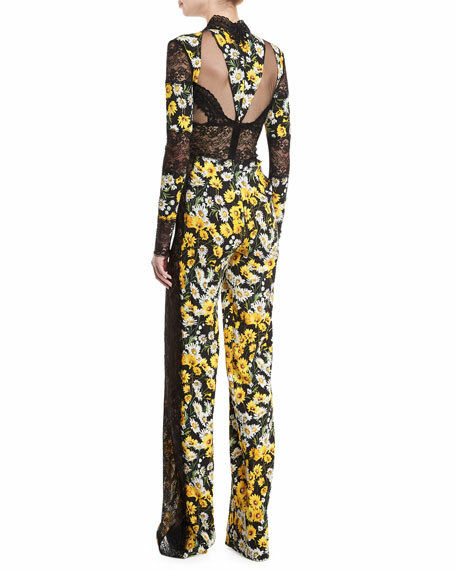 Chiara Boni La Petite Robe "Thofa" animal-print jumpsuit. 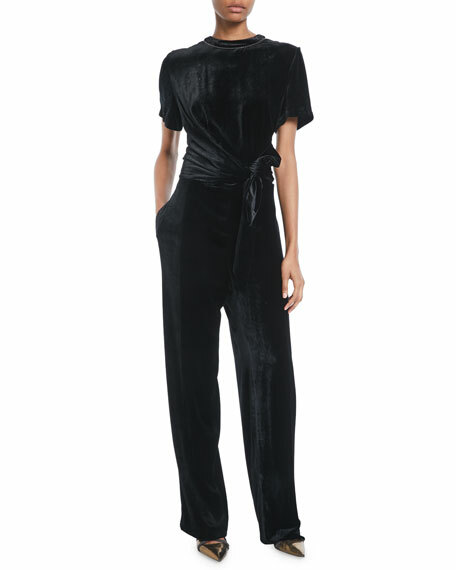 V neckline; scoop back. Short sleeves. Step-in style. Fitted bodice. Wide, flared legs. Floor-skimming hem. Nylon/spandex. Made in Italy. 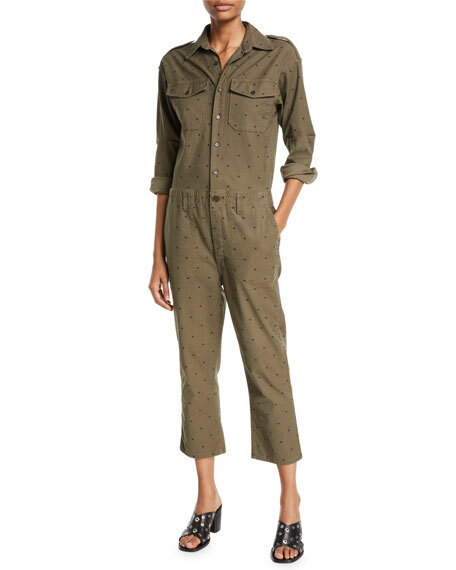 Current/Elliott "The Crew" jumpsuit in dot-print. Spread collar; button front. Long sleeves; button cuffs. Chest flap pockets. Side pockets; back welt pockets. Fitted through straight legs. Cropped hem. Button/zip fly; belt loops. Cotton/spandex. Imported.